Choriocarcinoma is the most malignant tumor of gestational trophoblastic neoplasia. Choriocarcinoma presenting as postpartum hemorrhage and spontaneous uterine perforation with intra-abdominal hemorrhage is very rare. We present a 29-year-old woman with spontaneous uterine rupture due to choriocarcinoma following a live birth pregnancy. 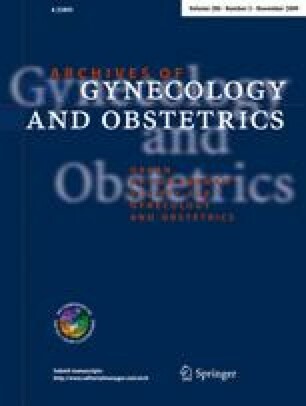 The long time interval (2 years) between the previous live birth pregnancy and the diagnosis of the disease, the acute onset of the disease by uterine rupture as the first symptom and the negative urine hCG test are presented and discussed in this case report.